Everyone who has employed a Sydney pool builder to build themselves a nice pool for their home knows that it is essential to have a safety fence around it so that toddlers and children cannot fall in and drown when you are not watching. However, traditional pool fencing has relied on steel rods to perform the task of keeping children out where they are safe. Such fencing may do a good job, but it is less than attractive and can make a small space look and feel even smaller. That is where glass fencing comes into its own. 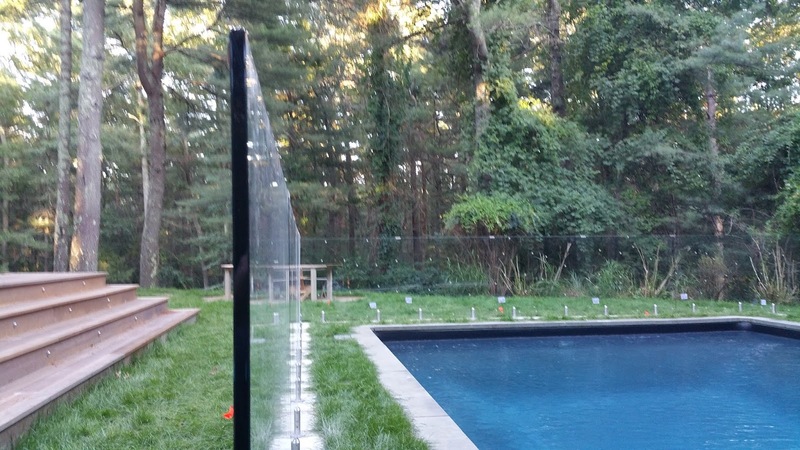 Here are some of the other advantages you will find with glass pool fencing. It is aesthetically pleasing. Frameless glass poolfencing means that you can see right through it with nothing to spoil the view or cut your yard in half. Since you can see through it, you can keep an eye on the children without having to sit right by the pool. The spigots that contain the glass sheeting and keep it upright can be of stainless steel or anodised aluminium. They are firmly attached to the concrete base and quite short so they are not intrusive to look at. It is very strong. Tempered glass goes through a process of being heated to over 700 degrees, then cooled quickly. This results in glass that is tough enough to withstand cracking even if someone falls against it. You can drop it on concrete without breaking it. A glass fence cannot rust so it does not need painting, oiling or any other kind of maintenance. An occasional hose down is all that is needed to keep it looking good. Of course, you could wash it down with a detergent solution if you really wanted to do that instead of relaxing by the pool. When sitting by the pool you don’t have to forego the pleasure of admiring your beautiful garden because the fence makes it invisible. The glass allows you to see your pretty flowers and shrubs no matter where you are sitting. Glass pool fencing is approved for pool fence as it meets all the Australian safety standards deemed necessary for such a fence. While safety is the overriding factor in pool fences, if you can use a product with so many other advantages over steel fencing, you will find what could otherwise be an eyesore in your yard is turned into an attraction that enhances the surroundings as well as keeping children safe.